It might seem like all politicians, especially American male politicians, have a suit and tie practically glued to their bodies at all times, but in reality, our world leaders have very nuanced senses of style. Many heads of state, several in our own country, have bucked the standards — very subtly, for the most part. But the greatest sartorial revolution in the world today is being led by Alexis Tsipras, Greece's prime minister, who refuses to wear a necktie. 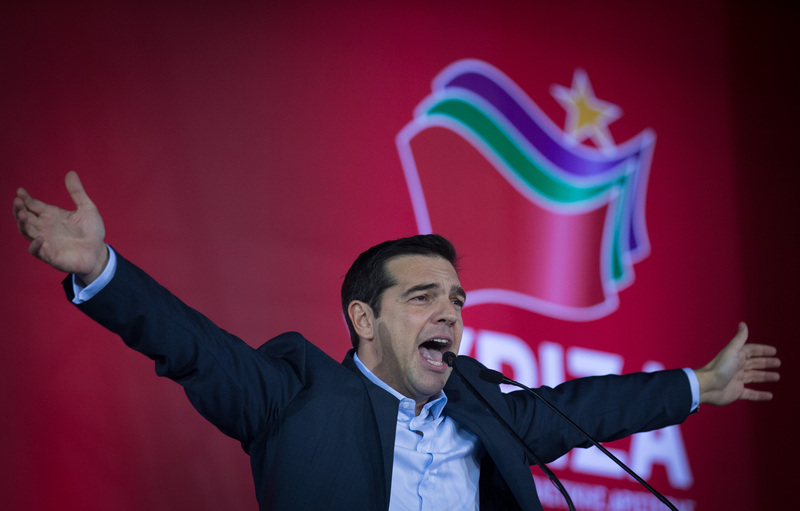 I think that if there is something that people appreciate in [the Syriza party] and me, it is that we haven’t assumed this mentality of establishment parties, with specific ways to dress, to act. The Guardian reported that Tsipras would not wear a tie until Greece's bailout terms were renegotiated. He is not alone in his subtly stylish political moves. A number of heads of state around the world, especially in the U.S. and Europe, have taken pains to differentiate themselves from their predecessors. Here are a few of the most notable exceptions to the rule, including three U.S. presidents and three foreign leaders. As president of fashion-forward France, Hollande's wardrobe choices are pretty important. Last summer, Hollande got new glasses. For perhaps any other middle-aged man in the world, this would not be international news, but for him it was. Not only are Hollande's new spectacles notably stylish, with their dark square rims, but they are Scandinavian rather than French. Critics said Hollande's choice in specs was irresponsible at a time when the government was promoting domestically made products. Not about to give up a fashion statement, Hollande continues to wear the glasses. You’ll see I wear only gray or blue suits… I’m trying to pare down decisions. I don’t want to make decisions about what I’m eating or wearing. Because I have too many other decisions to make. In a way, Obama's decision not to think about fashion is a fashion statement in and of itself. British Prime Minister Cameron called for a "smart casual" dress code at 2013's G8 Summit. He argued that "informal" attire would make it easier to "get things done," and those in attendance followed suit — by not wearing a full suit. Cameron's comrades, including Vladimir Putin, Barack Obama, and François Hollande, opted out of their ties in order to create a more informal, amicable atmosphere. Kennedy had a complicated relationship with hats, once an American man's staple. He famously brought back the black silk top hat for his presidential inauguration in 1951, though he barely wore it and took it off to swear his oath. Post-inauguration, Kennedy decided he hated all hats — many credit him with the death of the hat for the common man, which is a pretty big deal. Such escapades echo Putin’s strongman, some would say strong-armed, approach to politics; the compact, diminutive leader likes to keep himself in peak physical condition. As an avid sweater-lover, Carter served as president at the right time. While today he might be criticized for informality, Carter's advisers and many Americans thought his comfortable winter wear made him more relatable to the average citizen. In February 1977, when Carter delivered his first fireside chat from the West Wing, TIME wrote that his beige wool cardigan "may prove to be the most memorable symbol of an Administration that promises to make steady use of symbolism."